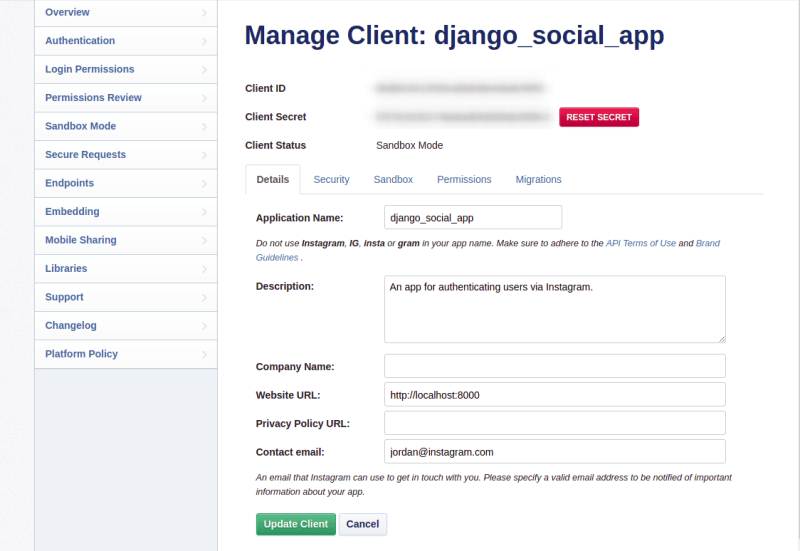 In this tutorial we will implement Facebook, Instagram and LinkedIn authentication using the social-auth-app-django library. For users of internet services, there are only a few things worse than having to manually sign in (and sign-up) with different websites. The ordeal of the manual sign-in process can be associated with the difficulty that the user may experience in having to remember multiple strong passwords. The inability to remember a password could lead to the creation of multiple accounts on the same platform or the outright switch to browsing as an unauthenticated user (where it doesn’t prevent access to the sought-after information or service). 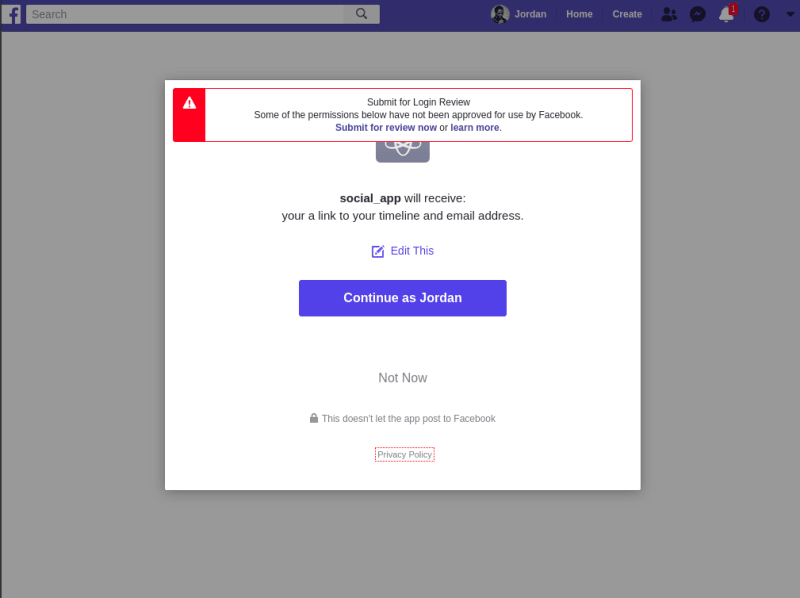 Modern web applications solve this problem using social authentication, which is primarily a way to allow users to sign in (and sign-up) with the application using login information from a social network provider that they already have an account with. 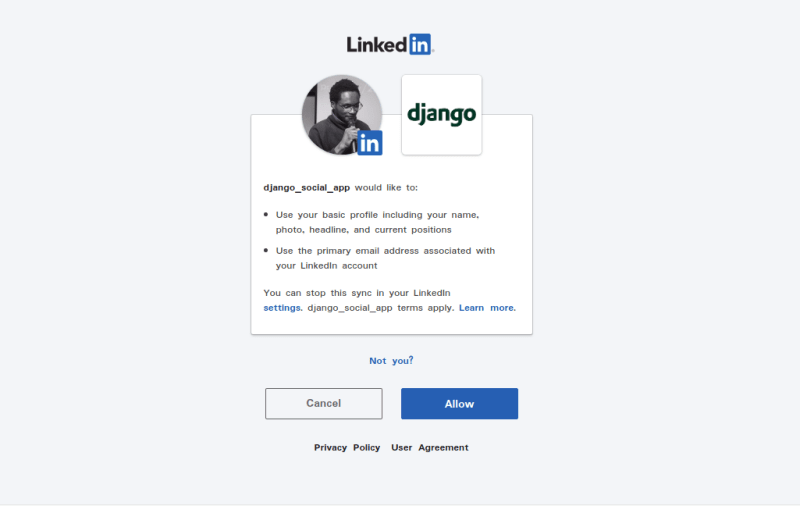 In this tutorial, we will build a simple Django application that allows users to sign in via their Facebook, Instagram and LinkedIn accounts. 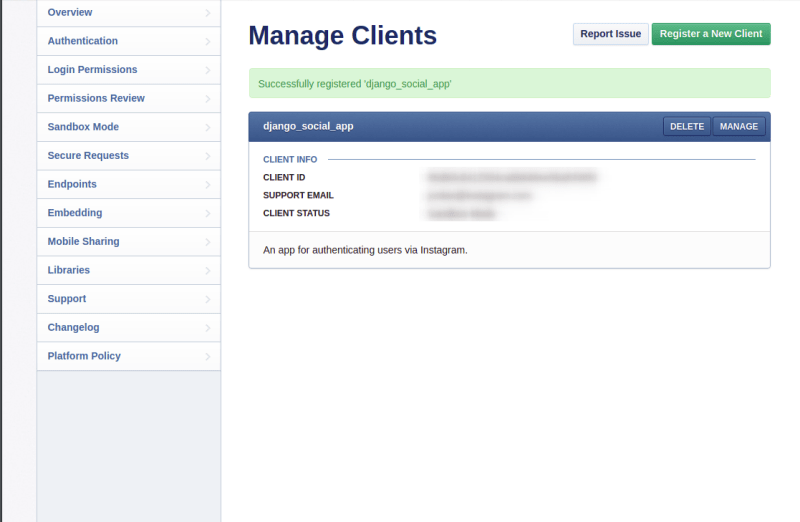 To achieve this, we will use the social-auth-app-django library. We will also learn how to extract additional information such as profile picture and username from the respective social accounts. 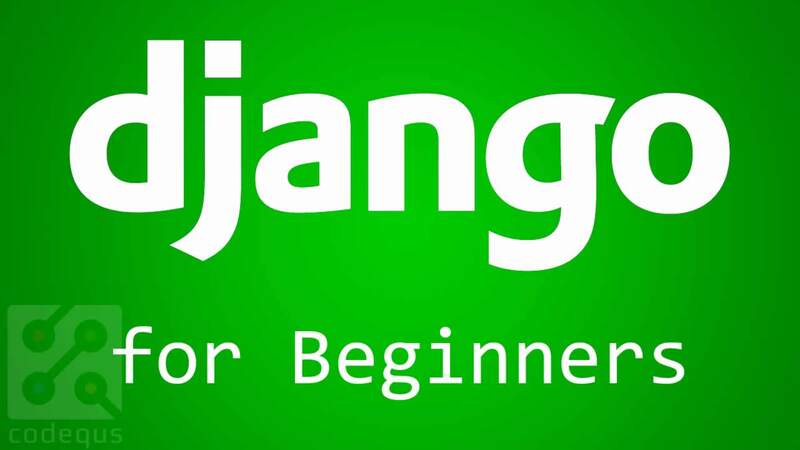 This tutorial assumes that the reader has basic working knowledge with Django. You also need to have an account with Facebook, Instagram and LinkedIn. 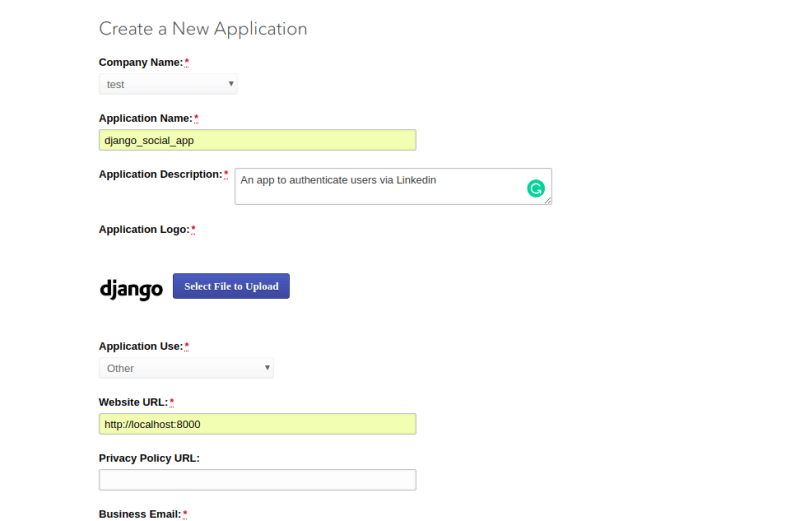 social-auth-app-django simplifies the implementation of social authentication with Django. Note: It is important that we run the commands from the terminal that is sourced into the virtual environment i.e displays (django_social_app) at the beginning of each command line. Note: You need to be in the parent social_app directory to run ‘python manage.py *’ commands. 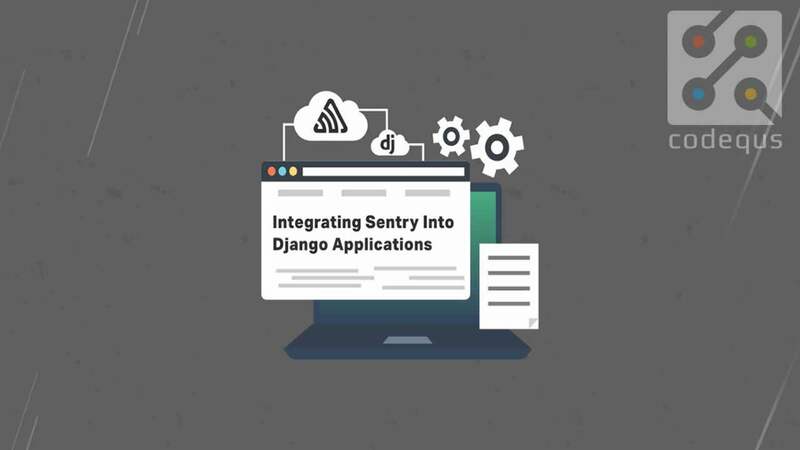 Behind the scenes, Django maintains a list of “authentication backends” that it checks during user authentication. 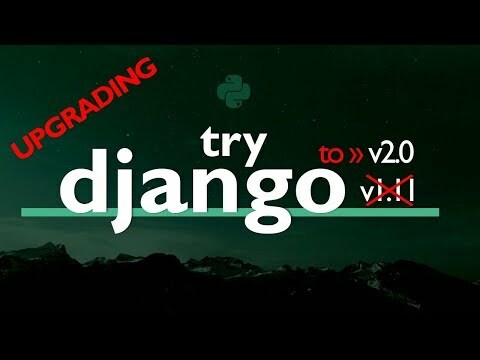 If the first authentication method fails, Django tries the second one, and so on, until all backends have been attempted. We can update it and add new authentication classes in order to allow authentication with the social platforms we are considering in this tutorial. We just added the authentication backend classes for Linkedin, Instagram and Facebook. 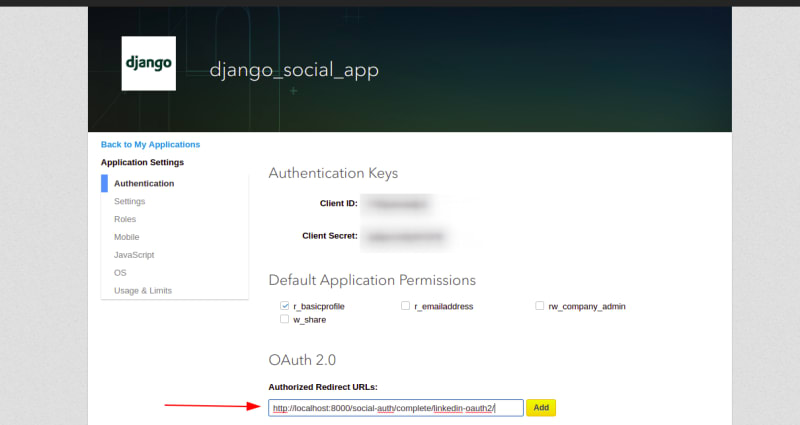 You can find a list of the authentication backends classes supported by social-auth-app-django here. 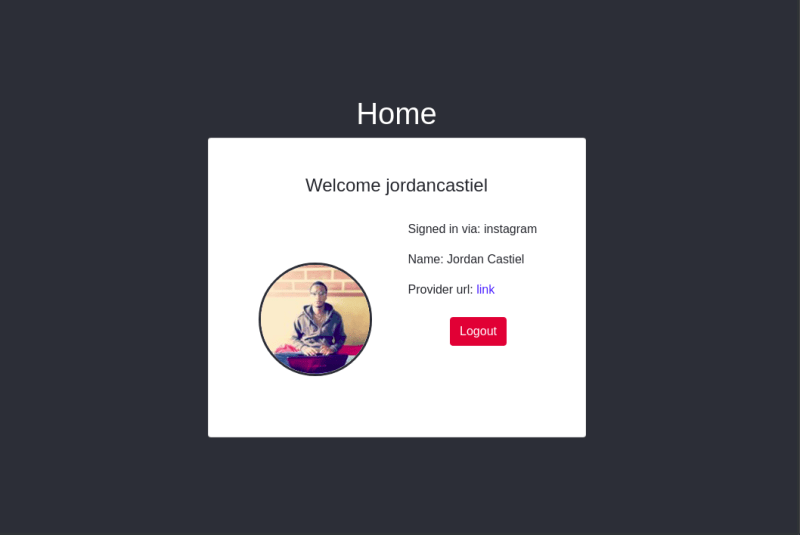 We’ve only worked on setting up and configuring the application, let’s move on to something visual now. In this section, we will build the foundation of the templates that will display the application. We need some styles to help our code look nice when rendered, so let’s create a folder called static in the root of the core folder and we will store our styles there. Create a folder called css folder within the static directory and finally, create an index.css file within the css folder. Looking good! 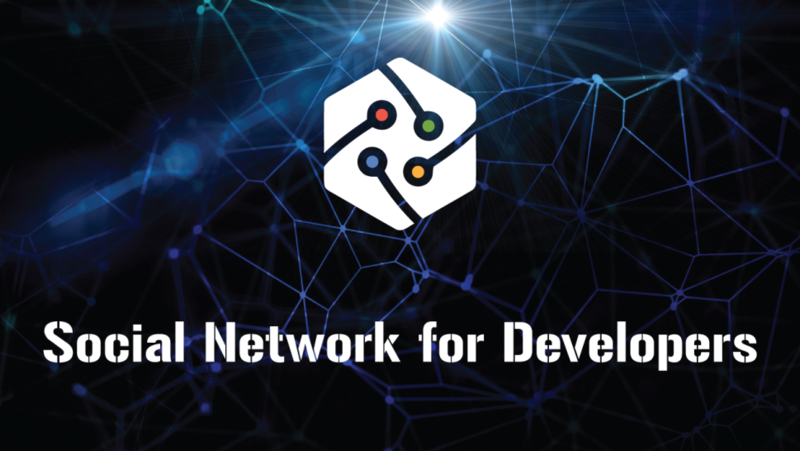 In the next sections, we will register our application with the social network providers so that users can be authenticated via social platforms. In this section, we will do the heavy lifting and set up authentication via Facebook. Once the app has been created, you will be redirected to the application’s dashboard. On the left side of the screen, click on** Settings**, then click on the Basic option that appears directly underneath it. 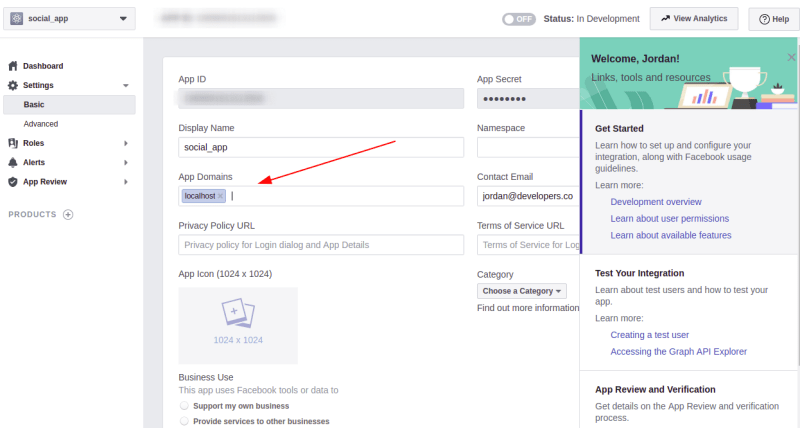 Replace the YOUR_APP_* keys with the values from your Facebook application dashboard. You will get a prompt to enter a username, email and password for the superuser. 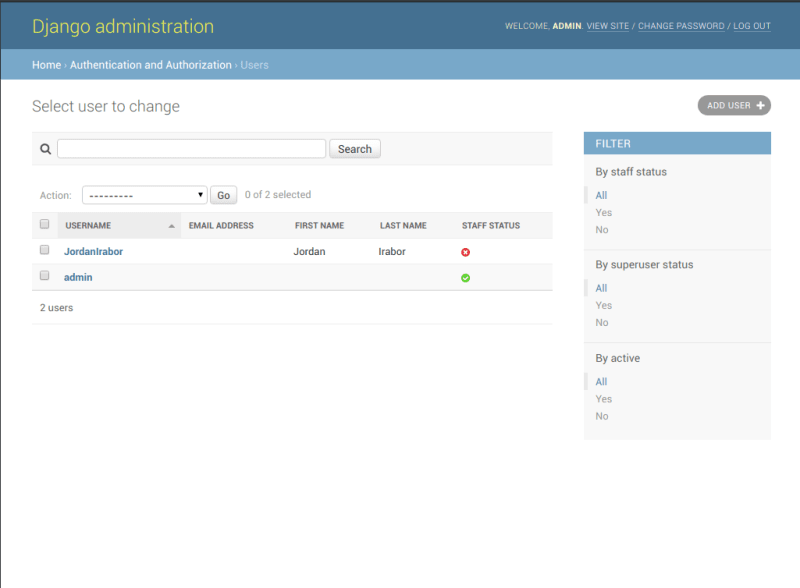 Be sure to enter details that you can remember because you will need them to log in to the admin dashboard shortly. 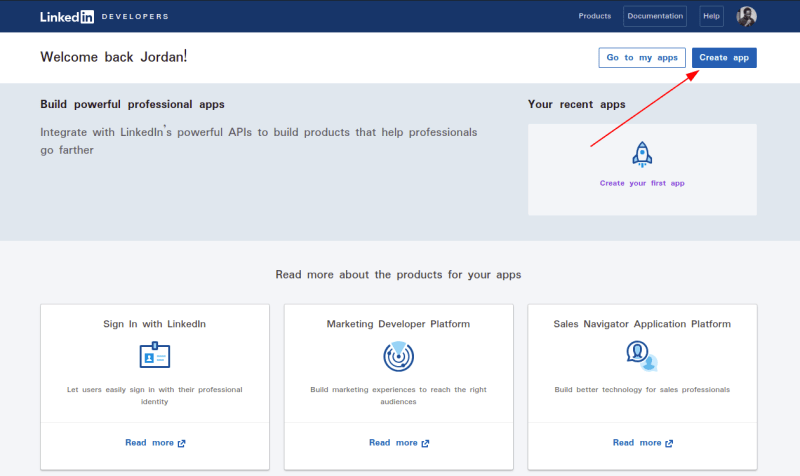 The explanation for the existence of these new accounts is: When a user logs into the application using Facebook (or any social network provider), a new User and User Social Auth instance are created. The User Social Auth is linked to the User account the first time, then subsequently, the User instance is simply queried from the database. The User instance is created using the details received from the social network provider. In this case, Facebook sent back the first_name and last_name fields of the created User Instance, and the username is a concatenation of the first_name and last_name. 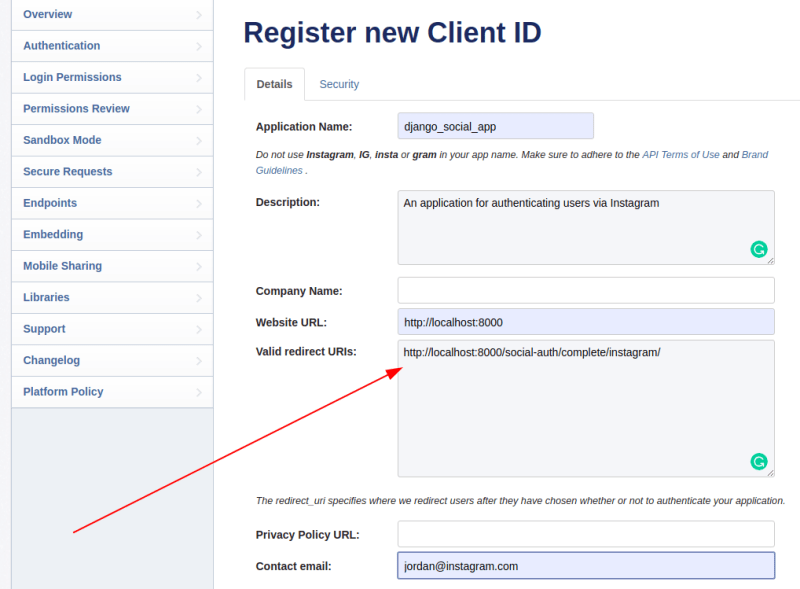 Some social providers (like Instagram) will return the user’s username on their platform and this is used (instead of the concatenation) for the created User instance on the application. 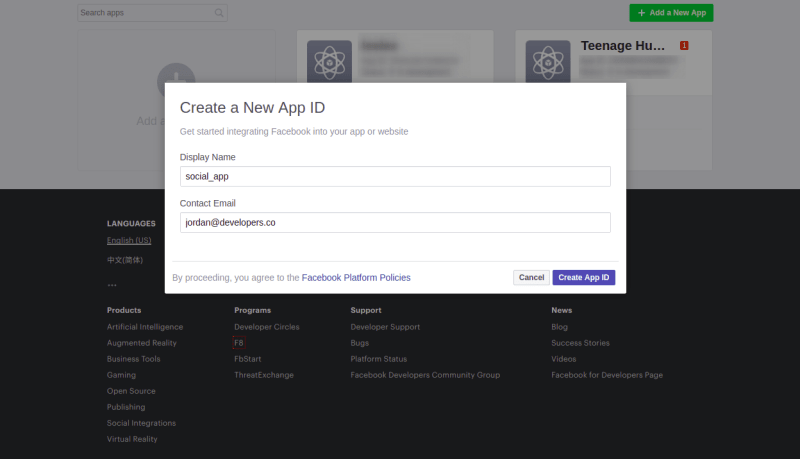 We don’t want our application to just display a username, we want to get additional *_User *_data such as profile picture, so let’s request for extra data from Facebook. Note: You will need to log out from the admin panel to continue. 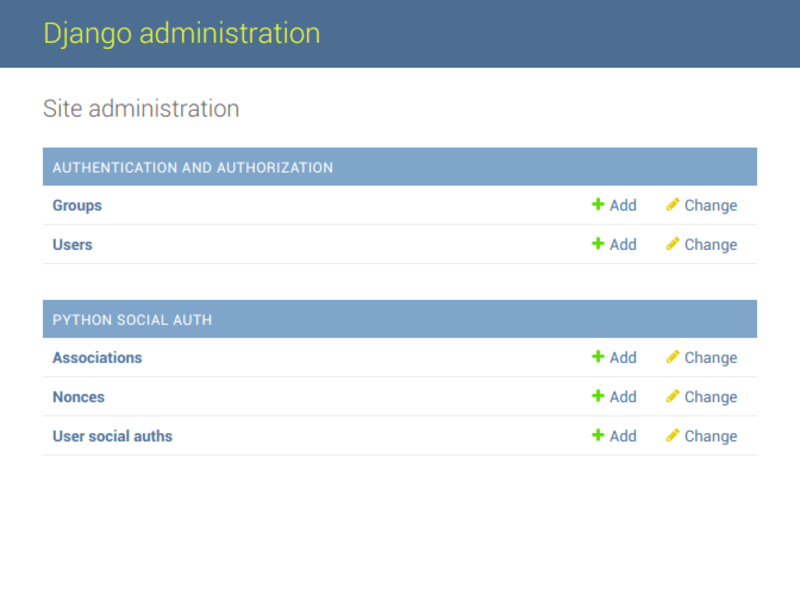 The social_django context processors help in adding backend and associations data to template context. This makes it easy for us to access data about the authenticated user using template tags. You can read more about it here. 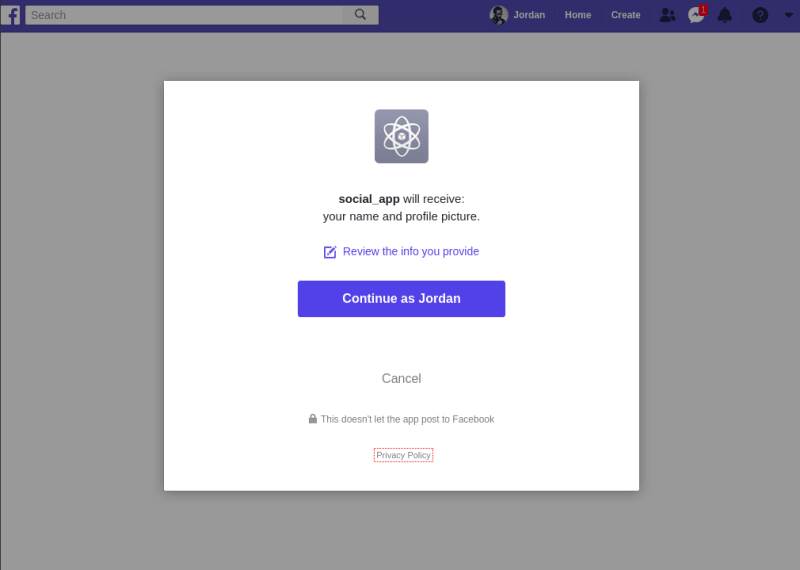 When a user logs into the application via Facebook, we can access a subset of the user’s data using permissions; permissions are how we ask if we can access the data on Facebook. In the code above, SOCIAL_AUTH_FACEBOOK_SCOPE contains a list of permissions to access the data properties our application requires. The email and user_link permissions request access to the user’s Facebook email and profile link respectively. Clicking on Continue as USERNAME will grant the application access to user’s private data on Facebook and for this reason, to request for some permissions, you will need to submit your application to be reviewed by the Facebook team to ensure that the returned data isn’t misused. You can find the list of Facebook permissions here. 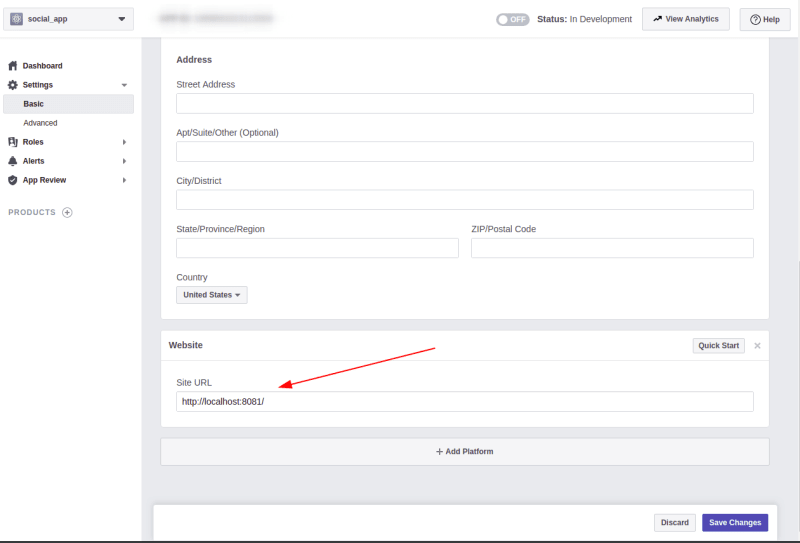 SOCIAL_AUTH_FACEBOOK_PROFILE_EXTRA_PARAMS has a key — fields — where the value is a list of attributes that should be returned by Facebook when the user has successfully logged in. The values are dependent on SOCIAL_AUTH_FACEBOOK_SCOP . 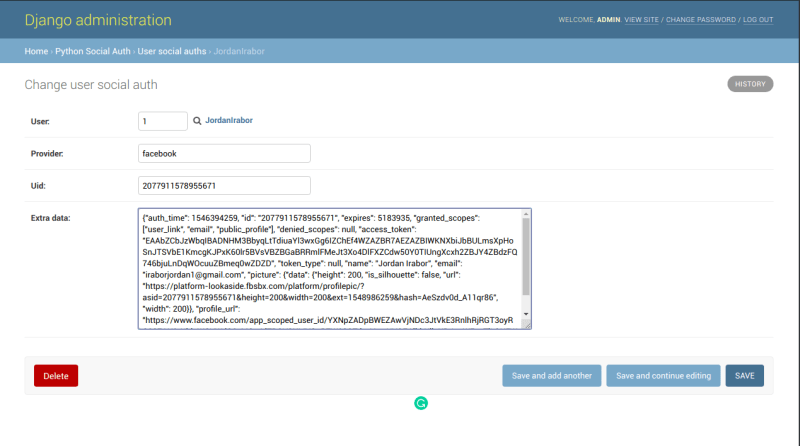 When a user logs in using Facebook, the Facebook API returns the data requested in SOCIAL_AUTH_FACEBOOK_PROFILE_EXTRA_PARAMS. To store the data in the database, we need to specify them in SOCIAL_AUTH_FACEBOOK_EXTRA_DATA. Note: We now have access to the data that gets stored in the extra_data field because we added the context processors to TEMPLATES; this enables us to access backends data in the frontend. Congratulations! we have successfully authenticated via Facebook and can now move on to setting up the next social network provider. Note: Instagram (and most social network providers) require a redirect URL which will be the address the user’s browser will be directed to after the authentication. 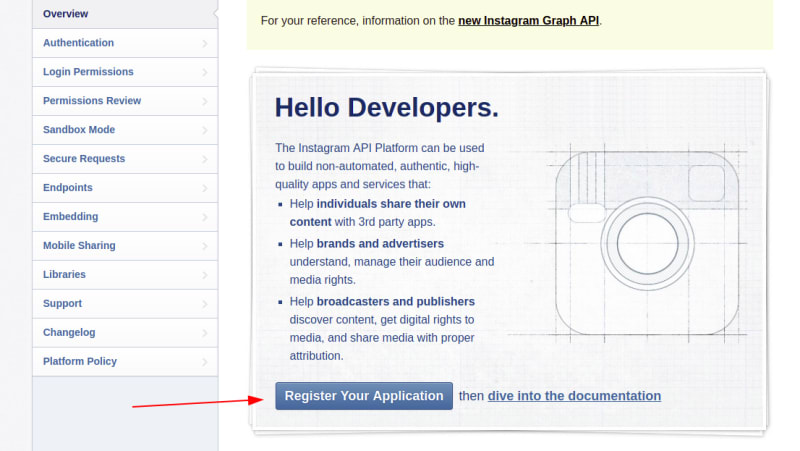 For this tutorial, we will use this address http://localhost:8000/social-auth/complete/instagram/. You can learn more about this here. Note: We need the ID and the Secret to configure the backend. Replace the YOUR_CLIENT_* keys with the values from your Instagram application. 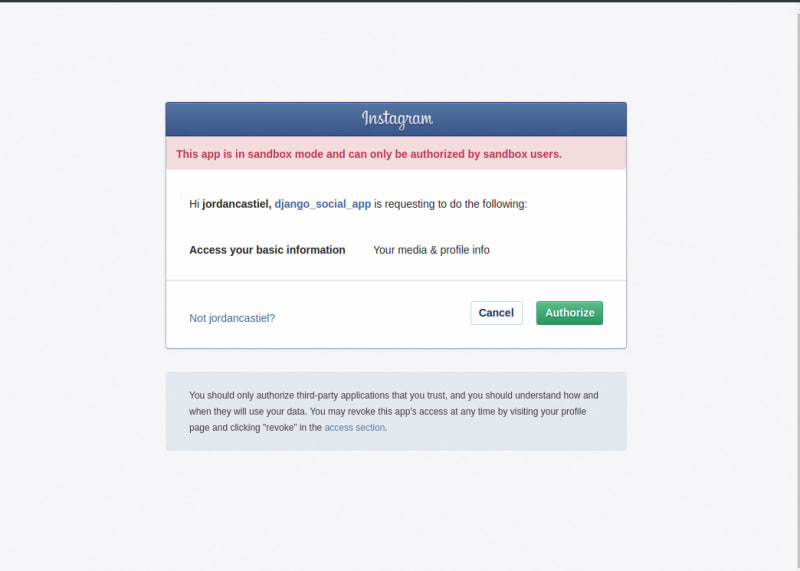 With the code above, once a user is authenticated via Instagram, a user object will be sent back to the application. We add this object to SOCIAL_AUTH_INSTAGRAM_EXTRA_DATA because we want it to be stored in the database for easy reference. Note: The Instagram application is in sandbox (test) mode. To make it live, you will have to submit it for a review. You can learn more about this here. Note: Most of these fields are required and you will have to fill them out with valid structured data. Take note of the Client ID and Secret, we will need it in setting up the backend. Replace the YOUR_CLIENT_* keys with the values from your LinkedIn application. 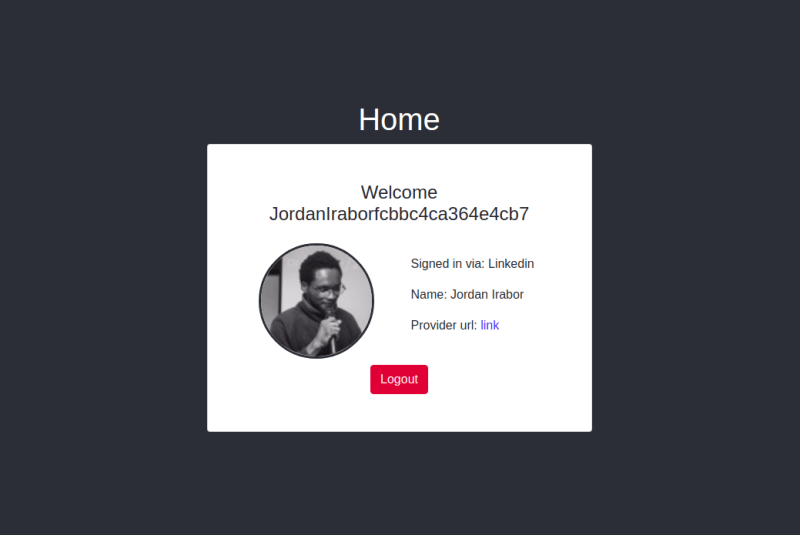 The SOCIAL_AUTH_LINKEDIN_OAUTH2_SCOPE array contains the permissions needed to access the user’s data, similar to what we saw when we set up authentication via Facebook. The SOCIAL_AUTH_LINKEDIN_OAUTH_FIELD_SELECTORS array contains the list of data that should be returned when the user is successfully authenticated via Linkedin. It is similar to the SOCIAL_AUTH_FACEBOOK_PROFILE_EXTRA_PARAMS array for Facebook. You can find the full list of data items that can be requested for here. The SOCIAL_AUTH_LINKEDIN_OAUTH2_EXTRA_DATA array contains the data that we want to store in the database for later reference. 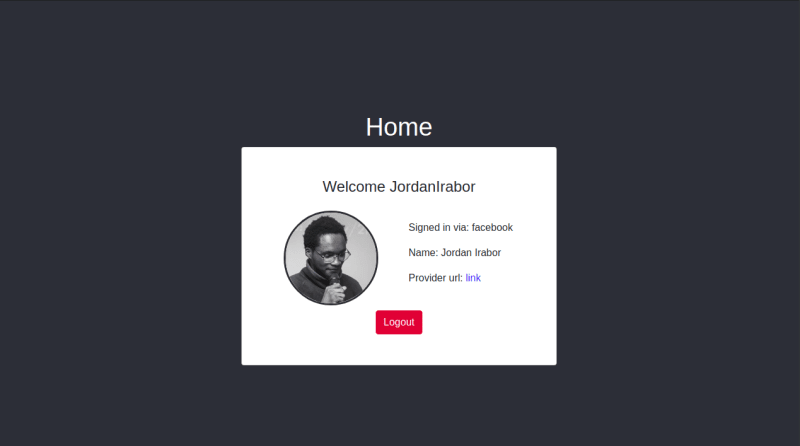 We have come to the end of this tutorial and have learnt how to set up social authentication in Django using the social-auth-app-django library with minimal configuration. 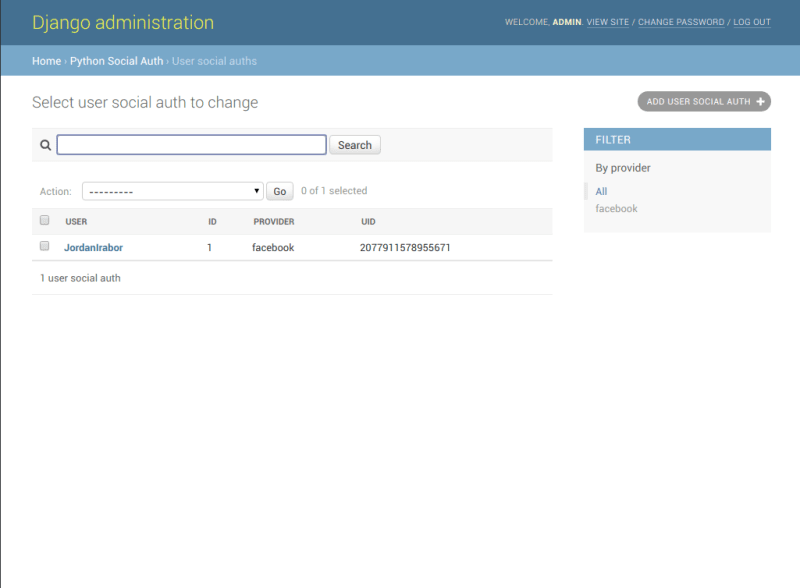 We have also learnt how to request extra user data once the user has been authenticated via a social network provider. As we already discussed at the beginning of this article, the importance of social authentication in modern web applications cannot be overemphasized. The code for this article is available here on GitHub.